Clifford was born on January 16, 1929 to Otto and Bertha (Land) Ruff by Fredonia, ND. He spent his first few years on a farm near Fredonia, then the family moved to a farm five miles North of Edgeley. His siblings were Alleine, Miles, and Lloyd Ruff. Clifford was a member of the National Guard by joining the Army for active duty in the Korean War, January 1951 and released August 19, 1952, and also was a part of the Bloody Nose Ridge Battle. 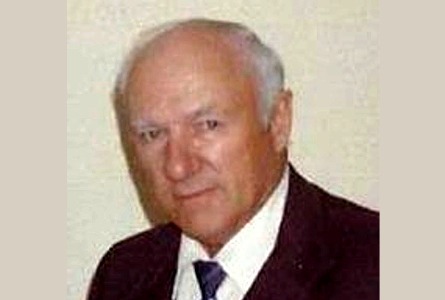 In June of 1953 he married Betty Hauck in Burnstad, ND. In 1954 they bought a farmstead two miles North of Edgeley and raised four children. Clifford was a member of the Methodist Church in Edgeley and had a passion for collecting antique farm equipment, participating in threshing bees, and attending auctions. Clifford is survived by his four children; Myron (LeRae) Ruff of Edgeley, Robert Ruff of Edgeley, Clayton (Kelli) Ruff of Underwood, and Versella (Pat) Nelson of Oakes, eight grandchildren, two great grandchildren, one brother, Lloyd Ruff, and sister, Alleine Miles. Burial: North Dakota Veteran’s Cemetery, Mandan, ND at a later date.